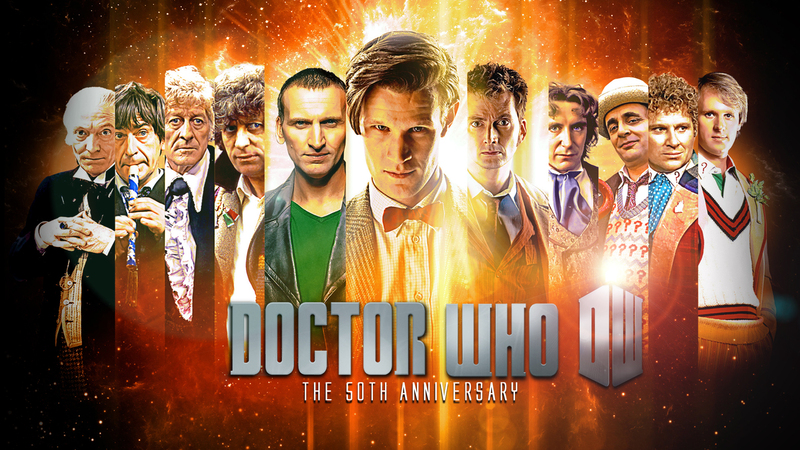 Doctor Who: The 50th Anniversary. . HD Wallpaper and background images in the ডক্টর হু club tagged: doctor who the doctor 50th anniversary. This ডক্টর হু wallpaper contains নকল মানুষের, কমিক বই, কমিকস, and কার্টুন. There might also be সাইন, পোস্টার, টেক্সট, and চকবোর্ড.